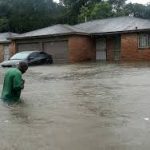 First of all, a flood occurs when a river, a creek or a lake overflows their banks and nearby homes have water coming in through windows, doorways and other access points that water can get in. These catastrophes are acts of nature that water seepage systems and sewer backup systems cannot prevent. The problem is the amount of rain is so great the local Storm Sewer System cannot handle the water volume. Sand bagging around your home is a stop gap measure that could possible work but is not a guarantee. At the same time it must be understood that any Sewer Backup System does not stop water seepage and a water seepage system does not stop Sewer Backup. Grate. Sewer backup can also flood a basement or a crawl space because the design did not implement a Sewer Backup Prevention System. Older homes are designed with gravity systems that do not require a pump to move sewage into the city sanitary system. system. 99% of these older homes are not equipped with a Sewer Backup Prevention system. 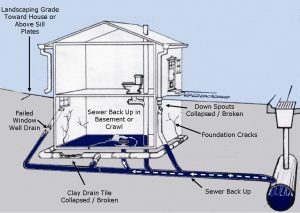 The illustration to the left shows the typically sanitary design in older homes that are susceptible to Sewer Backup when heavy rains overwhelm the city’s storm sewer. The picture of the manhole cover being lifted by water shows an overwhelmed system. All the sewer lines are well below grade and when too much sewage overwhelms the system, waste water comes up from floor drains, shower drains, toilets, slop sinks etc. 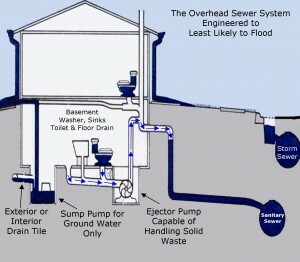 The system shown in the illustration is the “MOST LIKELY TO FLOOD” due to Sewer Backup. 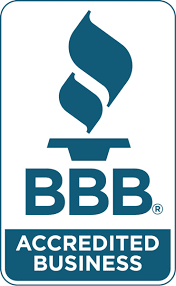 We are, Safe Seal, Licensed Plumbing Contractor. 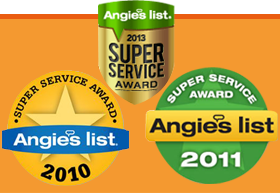 We do not sub out any of our work and have resolved these problems for thousands of Home owners. Call us today and let us show you how we can map out a logical design for you specific needs. Sewer Backup Prevention can be accomplished in a variety of ways. sewer lines. All plumbing fixture, shower drains, floor drains, toilets, slop sinks, washer machines are connected to and ejector pit which pumps the waste overhead directly into the soil pipe or 4” stack that goes directly into the city sewer system. The illustration to the left give you usual example on how it works and shows how it is so effective in preventing Sewer Backup and Basement Flooding. Sub Floor sewer lines are not connected directly to the city sewer. When the sub basement floor sewer lines are not there, sewer backup and Basement Flooding is eliminated because the possible ways sewage can enter do not exist. The ejector pit has a check valve which prevents sewage from flowing back into the pit. Some cities, like Chicago have a system this combination Storm and Sanitary. Other Cities have two systems. One is for Sanitary the other is for storm water. Although is much worse to have a Combination Storm and Sanitary Sewer System because Sewer Backup can allow some of that nastiest contaminants known to man into the living space of your home. This must be addressed at all costs. There are other reason why the Modified Overhead Sewer is the choice option of many of our customers. Mechanical flappers are not used in the Modified Overhead Sewer Backup Prevention System. Any object that can block the flapper (back flow valve) from operating and causes the Flapper to not close; tree roots, forks, knives, toys, sun glasses, diapers, ad infinitum. Yes, these are items that we have found in some of the most expensive (the vault in the front yard) Sewer Back Flow Systems that fail because of the inherent flaws in the design that will cause another Sewer Backup. 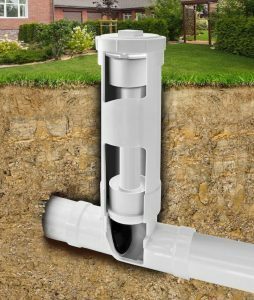 You must be asking, how can my older, sub floor sanitary system be converted into a modified overhead sewer which will virtually eliminate Sewer Backup and thus Basement Flooding and Crawl Space Flooding. First of all you will want to hire a Licensed Plumbing contractor, like Safe Seal, who understands the problem and understands how the fix the problem. Locating the sub-floor sewer lines and abandoning the redirecting new sewer lines to the ejector pit. The bottom line, some mods are more complicated than others and cannot be fixed without the know how. Cameras and sewer line locators are used to identify exact location of the sewer lines and to visually inspect the lines to make sure that are in working order. All basement slab penetrations, floor drain, bath tub drains, showers drains, laundry will be disconnected from the main sewer line and then routed to the new ejector pit which will discharge to the existing 4” stack. All abandoned sewer runs will be capped and sealed per plumbing code. Any cement that was removed to accommodate the new system will be replaced. You now will have a Sewer Backup System that is engineered to be the least likely to flood your basement with raw, nasty sewage. 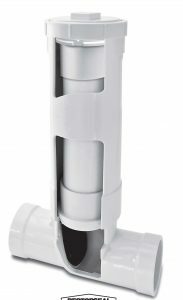 There are many types of Sewer Back Flow Valves. One of the best is the Clean Check Back Flow Valves. The operative word is Clean Check which allows the homeowner to periodically check the Back Flow Valve to make sure that it is functioning properly. Anytime a root, Diaper, disposable hand wipes, paper towels, toys, sunglasses, clothes get into the system, it can prevent the valve from closing and sewage will get into the home. Most back flow valves do not have this feature and can fail. When it fails, not if it fails, it will be too late and the damage is already done. On the interior of the basement, The Clean Check Back Flow Valve can be used in conjunction with an overflow ejector pit that will allow the family to still use all plumbing – fixtures, toilets, shower, washing machine, etc. It works when an overflow outlet is installed after (toward the inside of the house) the Sewer Back Flow Valve. When The Backwater Valve is closed and preventing your basement from getting soaked, the water being used in the house flows to the ejector pit and then gets discharged on the city side of the Back Flow Valve. This configuration is more expensive but better than a standalone Sewer Back Flow Valve.